Well that’s how it felt to us here down-under in NZ. Watch this and see for yourself. Take special note of the comments at around 5:40 into this video. And just to remind you who Chris is ….heres his near on 20m viewed David Bowie Space Oddity cover performed on the International Space Station. Hes also the guy who took over 45,000 photos while he was up there…. on Nikon gear. Commander Hatfield I concur! NZ does that to people. And why was the interviewer so thrilled? Well you’ll need to watch the video to find out the answer to that. So just another reason to visit Middle Earth? 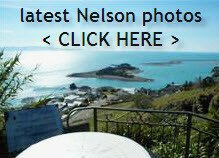 This entry was posted in Buyers, General, Nelson, New Zealand, photography, Sellers, Stats / Sales Data, Technology, The Market and tagged aerial photography, Augmented, Buyers, buying, climate, coastline, google, Nelson, NZ, Sellers, selling, sun, sunset, Technology on December 23, 2013 by David Leggott. Quick, you’ve only got a few hours to take a photo…. Yes it is because its the week that includes the shortest day, last Friday here down-under in New Zealand. Why that is important is because it is also the time when the sun is at its most northerly, and lowest of the whole year. for that day in the future when you want to move / sell and can display 100% accurately to any potential buyer … the photos of your property / residence depicting where and when the sun exactly hits the home on these cooler mornings / days. If you’re not sure what I mean, rather than repeat myself again…check out these past posts on the subject. Ironically enough if you are in the Northern hemisphere, then its just as relavant for the opposite reason! This entry was posted in Buyers, General, Nelson, New Zealand, photography, Sellers and tagged aerial photography, Buyers, buying, Nelson, NZ, photography, Sellers, sun, sunset on June 23, 2013 by David Leggott.